Right before the release of their new album and few months before the important Warped Tour we spoke with This Wild Life……the result…an amazing interview! Check it out! RYL: 2014 is an amazing year for you guys, let me recap Warped Tour, Epitaph Records deal, a new album, UK and Australian tour …….I’m missing something? THIS WILD LIFE: Yeah, it really feels like the band has been picking up momentum this year. We’ve been playing together for a few years now and we’ve made a lot of progress over a long period of time, but this year has really accelerated the bands growth. Really happy to finally have a full length out and to be touring internationally. 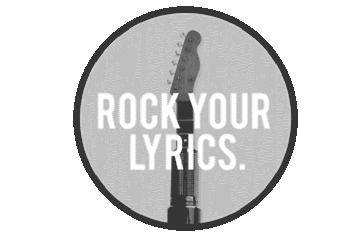 RYL: If you are not familiar with our website, we are specialized in explaining how the best lyrics have been written…… how do, usually, write the lyrics of your songs? THIS WILD LIFE: I’ve always made it a point to only write about things that are truly personal to myself. I tend to avoid being overly vague or ambiguous when I can help it, cause I want our songs to always mean something to me. I suppose some of that is because I want our music to be an emotional outlet for myself, but I also know that we’ll be playing these songs hundreds of times a year, so singing a song every night that means nothing to you and doesn’t connect in your heart would be an awful feeling. RYL: One of your songs we like is “Wrecker” part of your album “Heart Flip”, do you remember how have you written it? THIS WILD LIFE: Wrecker was a song about my ex-girlfriend (innovative topic right?) that I dated for 9 years. I wrote it at a time where she wanted to get back together and it was sort of my way of telling her that it would never happen. RYL: Let’s go back to the new album “Clouded”…only few weeks away from its official release, what do you expect from it? THIS WILD LIFE: Hopefully the songs connect with a lot of people and we can have some great sing along at future shows. We recorded the album last year so we’re just really eager to release it to the world. RYL: The first single is titled “History” and is already a big success (at least on ITunes charts); what does it means for you and how did you write its lyrics? THIS WILD LIFE: I wrote “History” about one of my friends that I had a falling out with. I have a hard time cutting people out of my life even if I know it’s for the best, so this was a song about being on the fence with someone in my life. RYL: Transforming an idea, a verse in to music is difficult? THIS WILD LIFE: I usually don’t write much lyrically unless I have a song in mind. Kind of like a painter needs a canvas to start painting I suppose. RYL: “Roots and Branches” as well part of Clouded, ends with the verse “Am I meant to be alone?” , why? What does it mean for you? THIS WILD LIFE: Roots and Branches was about a few different things going on in my life all around the same time. Between losing a house, a girlfriend, and the band I had played in for four years, it just felt like I was losing everything important in my life. I guess at the time I wondered if I wasn’t meant to have all those things. RYL: Tell us the most meaningful verse you ever wrote…. THIS WILD LIFE: There’s a song called “No More Bad Days” on Clouded that I wrote for my Mother. She’s an incredible woman that hasn’t caught many breaks in her life, and I wrote the song to hopefully uplift her during difficult times. RYL: and the one of your favorite song? THIS WILD LIFE: My favorite song of ours is probably “Ripped Away”. It was a moment in my life that was captured right in the midst of a breakup and it just came out really naturally and beautifully.